The Other Side has hired Driscoll Investigations. The owner of Stone’s Throw Lighthouse Bed and Breakfast insists that a tarot reading told her to hire Giulia to evict the family ghost. Since the ghost is cutting gas lines and flooding cellars, Giulia and her husband Frank head to the B&B to discover the real perpetrator. The client also has a family legend: A highwayman who stole a pile of gold. 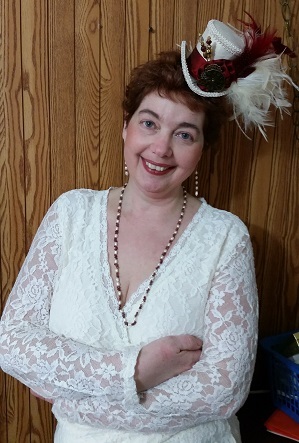 Giulia has a pile of suspects, including a psychic the client hired to conduct weekly séances. So much for romance with Frank at this getaway. Instead, Giulia’s juggling arson, creepy clown dolls, and the psychic going all Exorcist on her. Then the ghost tries to push the client off the lighthouse and throw Giulia down three flights of stairs. It should’ve known better than to mess with an ex-nun. Giulia has connections and she’s about to use them. Alice: At age 9 I wrote a small poem about going back to school. The bug bit me then and never left. Fortunately, I shredded all my angsty teenage poetry. I’m so pleased my teen years were pre-Internet. Alice: Let’s Pretend, by Nila Mack, illus. by Catherine Barnes. It’s a book of fairytales that were expanded and used for a 1940s radio program of the same name. The writer was skilled enough to make each one memorable and the illustrations were lush. I reread that book at least 50 times. I got lost in it. I’ve unearthed my mother’s copy and will be rereading it again tonight. Alice: Work, home, supper, laundry, THEN writing. We have a pond next to our deck with a small waterfall and 9 koi. Writing by it is like a mini-vacation. My biggest quirk is my fountain pen addiction. I have one for each book I’ve written, but I can quit any time. I swear. Really. Alice: Treasure hunters are True Believers. The websites are filled with people who are convinced that one more map, one more trip, one more search with metal detectors with unearth a fortune. From stashes of stolen diamonds or gold coins or bars, they believe. Some have quit their jobs to search 24/7. It’s rather eerie. Alice: HP Lovecraft, Tracy Groot, CS Harris, Kazuya Minekura, KA Stewart, Dickens. I am eclectic. Birdhouse: What are your favorite fictional (book or movie) depictions of nuns? Alice: Bahahahaha! Don’t have one. I don’t do nun movies. They give me flashbacks, even after all these years. 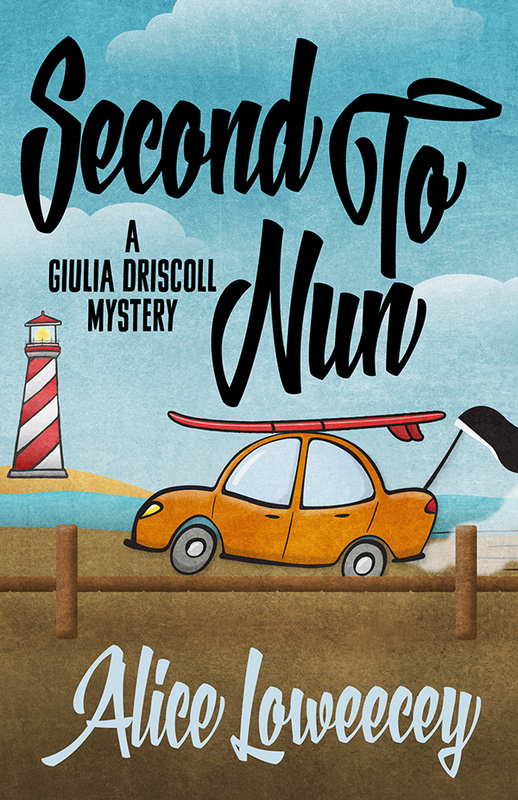 Alice: I’m finishing up the next Giulia Driscoll mystery, Nun but the Brave. Doomsday preppers and many online dating sites are involved. That was some eye-opening research.